Bleak Future - Earth Art Postcard by Artist & Painter Adesina. Adesina painted this piece at just 16 years old, and it remains one of her favorites to this day! Since the original is no longer available, she decided to create post cards, in order to share the image with as many people as possible. 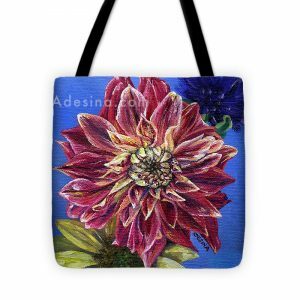 Start building your Adesina art collection and get yours today! Only $4.50 Each, includes Autograph! Show your love for the world we live in, and the animals we share it with, by sending these postcards to friends and family. 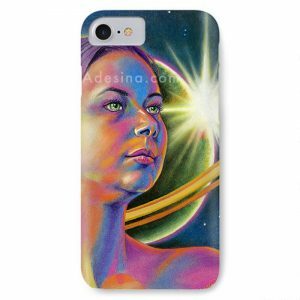 Each 4.25″x5.6″ double-sided postcard comes with a large print of Adesina’s “Bleak Future” painting on the front, and a quote from Buddhist monk Thich Nhat Hanh, along with a place to write a message and an address, on the back. To keep shipping costs low, we offer a “First-Class Mail – Stamped Letter” option to mail your postcards with just a regular postage stamp; however please be advised that tracking is not available for this option & no refunds will be issued for goods lost in the post via this method. If you require tracking, we recommend “USPS First Class Letter – Certified” which is our next lowest-price shipping option, and store credit is available if your order is lost in the mail via this method.